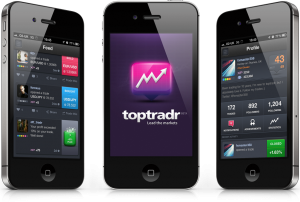 In today’s New Product Spotlight, we take a look at mobile trading app, TopTradr. The app is a combination of emerging technologies in the Forex industry, featuring part performance rankings and part social trading. Similar to other products such as Darwinex (formerly TradeSlide), TopTradr ranks traders based on their risk adjusted performance and provides weekly and yearly prizes to top traders. In addition, the app provides elements of social trading, allowing users to share their trades and follow other users. 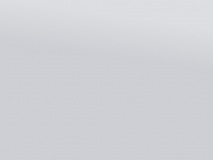 Currently, TopTradr has about 800 live traders using the app, with another 2,000 demo users. To learn more about the product, Forex Magnates spoke with TopTradr Founder, Francois Nembrini. In its simplest level, TopTradr is an app which gamifies the trading process for users who receive weekly and overall rankings for their performance. Offering an incentive for success, weekly top ranked traders win a $ 37,500 equivalent account which they get to manage profit from any positive returns. 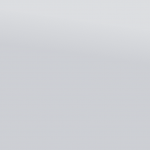 In addition, TopTradr is holding an overall contest to manage a $1 million account. Rankings of traders are based on the company’s proprietary algorithm which takes overall profit performance and risk into account. Explaining the rationale behind ranking traders, Francois Nembrini stated that the objective of the product is to discover talent that can eventually be introduced to managing other people’s capital. However, unlike similar performance-based products that filter top traders to become trading leaders for retail account copy trading, TopTradr has a different goal, being introduced to manage institutional capital. To implement this, TopTradr is in discussions with proprietary trading firms and asset managers about creating programs where they will be able to ‘graduate’ their successful traders to manage institutional funds. By taking the institutional route, TopTradr shuns the typical copy trading model of account holdings following other traders. According to Nembrini, this is by design, as he stated regarding social trading,“The model is faulty since retail following retail doesn’t have a strong success rate.” Adding, “There is a huge chance that retail will follow mediocre traders.” Nembrini further explained that some platforms are trying to fix this problem by filtering who the trade leaders are, but at the end of the day it still comes down to retail account holders being the ones who need to do the due diligence to pick traders, something he believed was filled with risks. 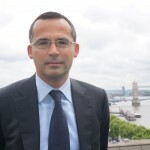 Nembrini added that customer risks associated with social trading also made it problematic from the regulatory side, stating, “We don’t want copy trading because of risks of regulators.” Nembrini alluded to current guidelines being put in place by the UK’s FCA, which are expected to make it more difficult to provide copy trading in the future. Overall, Nembrini believed that introducing ‘discovered’ traders to institutions, where they may go on to become professional money managers, provides the best value for top traders. In this regard, Nembrini explained, “Toptradr isn’t just a social trading network, but a finder of talent, the X-Factor of Forex”.